We came to Hackford at the end of a Saturday afternoon in December . 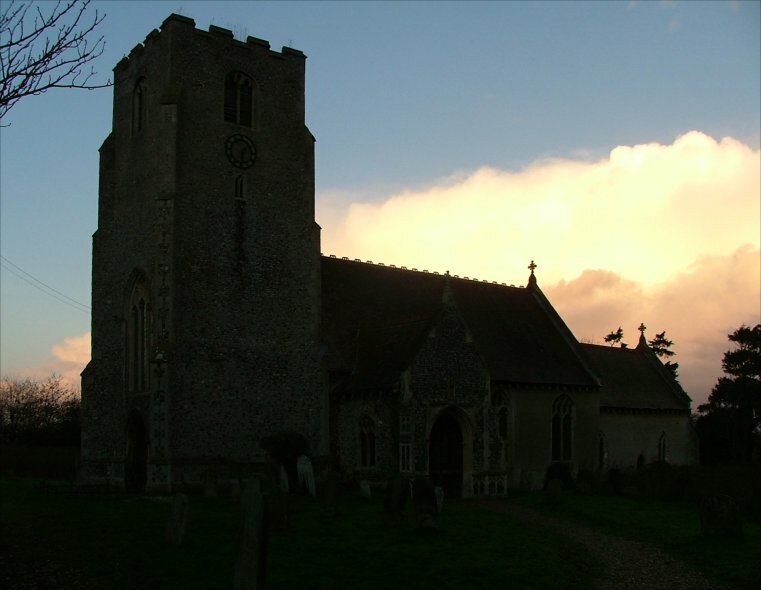 The light was fading, and the otherwise clear sky was skittered with boiling clouds flung across it by a sharp north wind. There was a change in the weather, a heavy frost and sleet to come before the weekend was over. 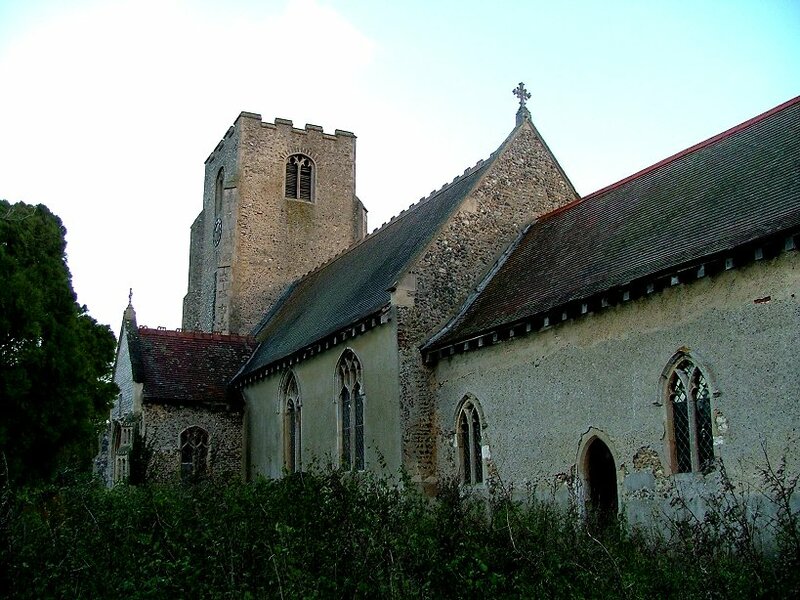 St Mary is one of those churches set away from its village in an overgrown graveyard set back from a narrow, winding lane, with only a couple of modern houses for company. 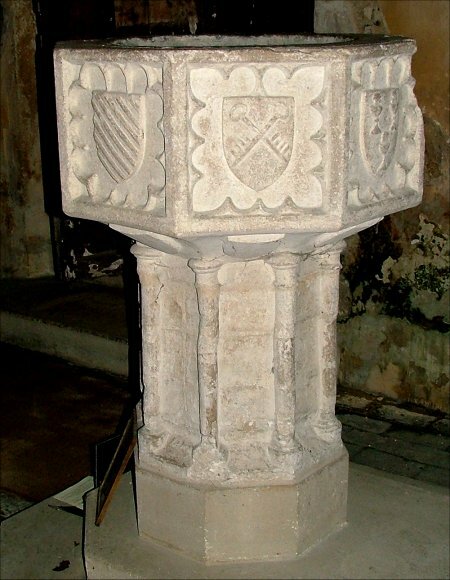 If you turned your back on these, you could be in any century. This is probably a lovely spot in summer; but now, the overwhelming character was of a haunted, bleak loneliness, the only sound the crows who anchored themselves miserably in the swaying, leafless trees. It would be dark soon, and their anxious cawing made it clear that they did not expect to see us in the graveyard at this time of day, this time of year. 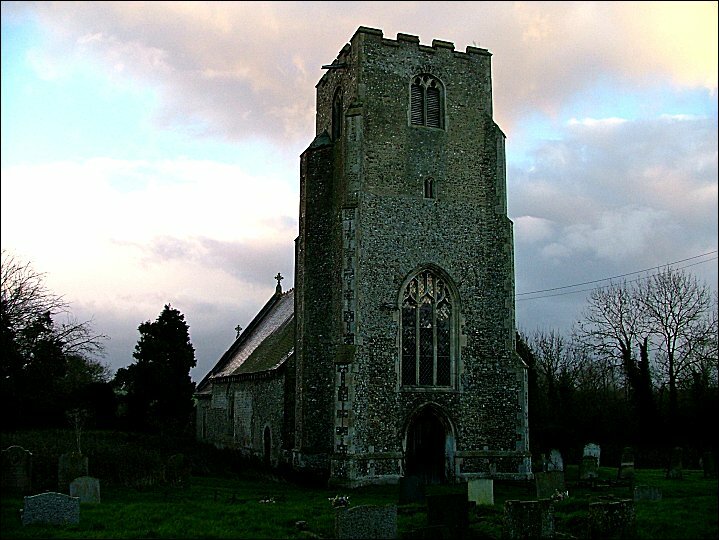 The night was falling, and the graveyard was going back to nature, as it does every night, and has done for a thousand years or more. 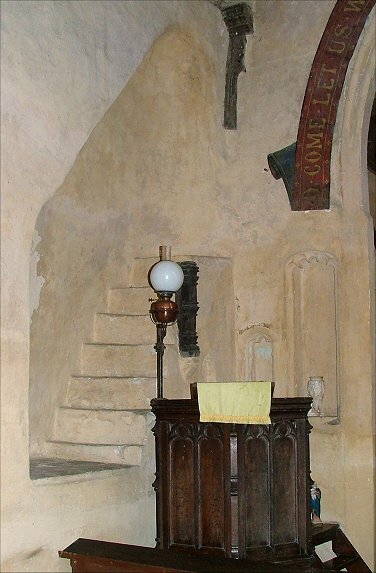 A surprise in the porch is the elaborate 15th century holy water stoup set on a fluted pillar. 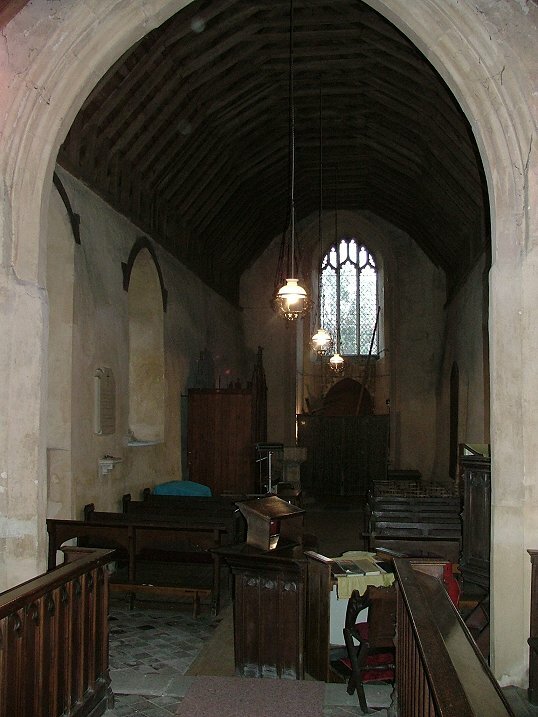 It is set in the angle of the porch with a high canopy over it. Surely it cannot have come from here originally? 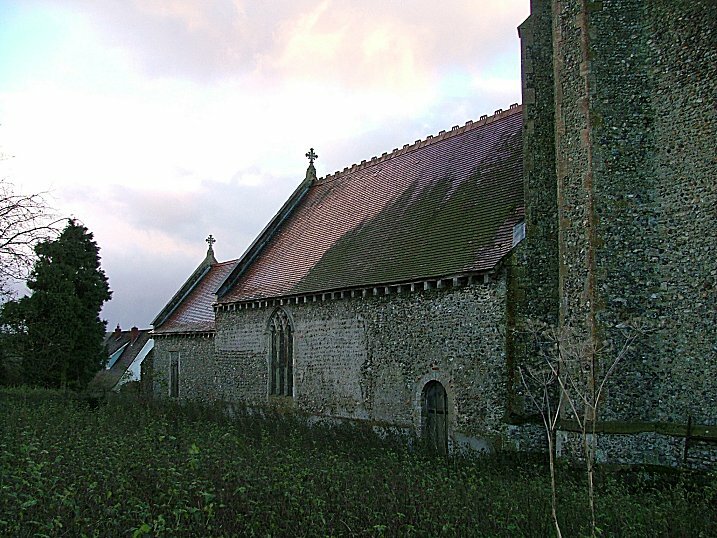 If not, then perhaps it is from nearby Wymondham Abbey, and was placed here by the Victorians. Not unreasonably, we couldn't have expected the church to be open. 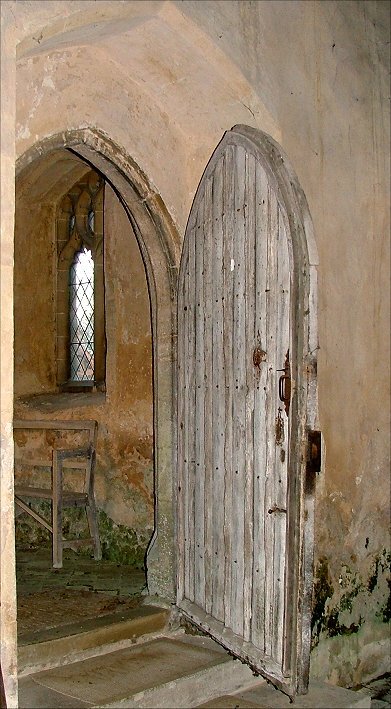 The 15th century door has two curious locking mechanisms, presumably both 18th century in origin. One slides across, the other is a more conventional turning ring. We fiddled with both, but the door wouldn't open. 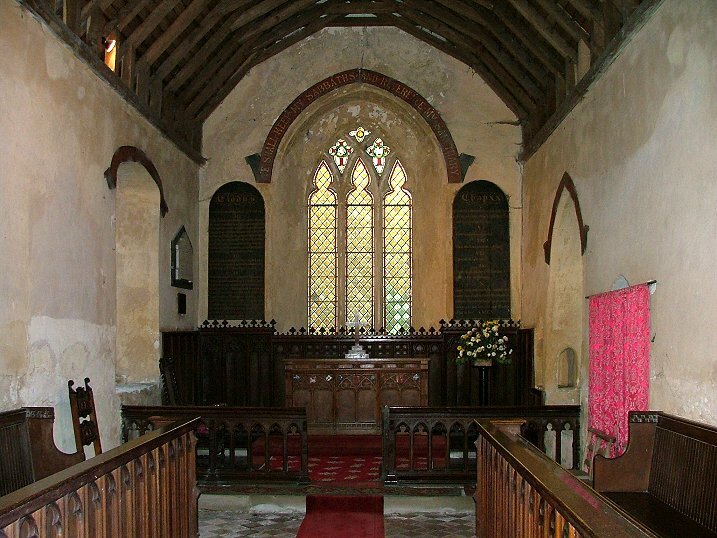 Peter was surprised, as this is a church he is fond of, and it is usually accessible. In the end, I tried taking the weight of the door as I turned the ring - and the door opened. The cold, damp air had simply swollen it into place. 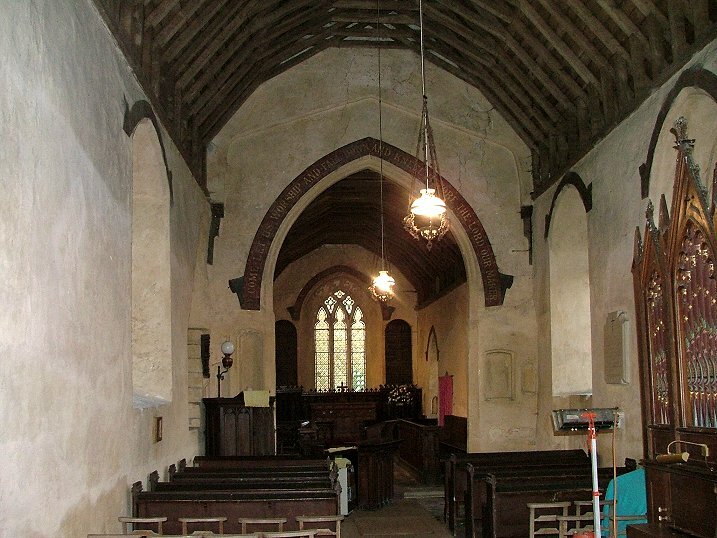 You step down into a long interior which is charmingly rustic, owing as much to Diocesan architect Hubert Green's 1880s restoration as it does to the middle ages. 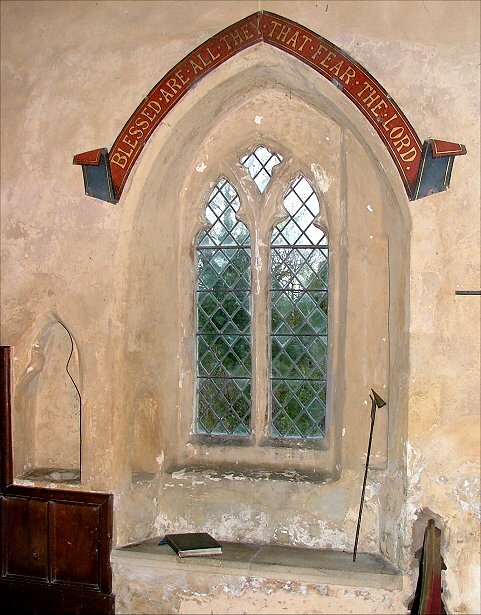 Green's painted texts above all the arches seem as ancient and remote now as the 14th century font with its passion symbols on the shields. There are a number of curiosities. 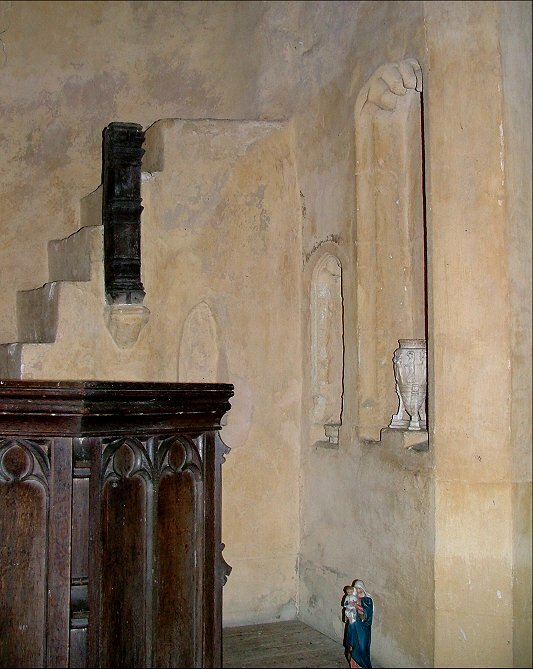 The wooden newel post of the rood loft stairway has survived in part, something I don't think I have seen before in Norfolk, and led me to wonder if, in fact, the stairway had not been enclosed as is usual but was merely set into the wall. 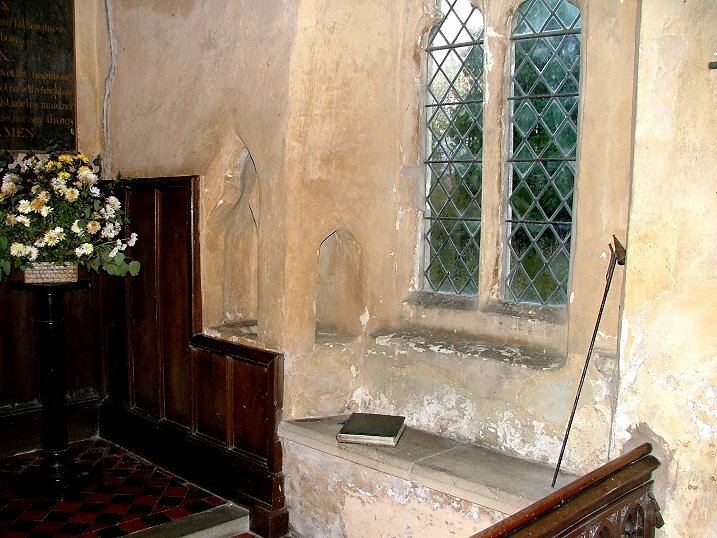 There is a niche below it which suggests there was never a wall on the inside of the stairway, and four further extremely elaborate niches, two each side of the chancel arch. 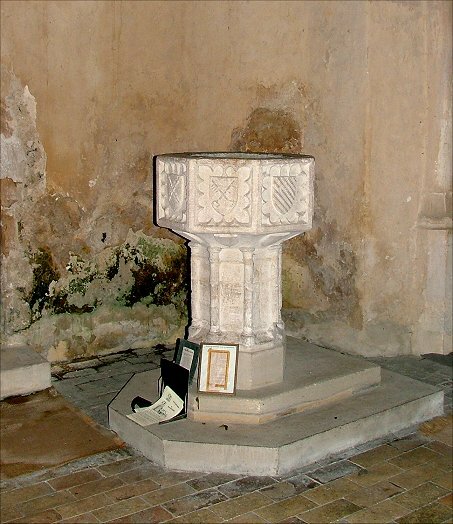 The sedilia is little more than a window seat now, but has access to the piscina beside it through a niche, which seems to have been a local fashion. The wooden furnishings, like the roof, are pretty much all Green's, but are good of their kind. 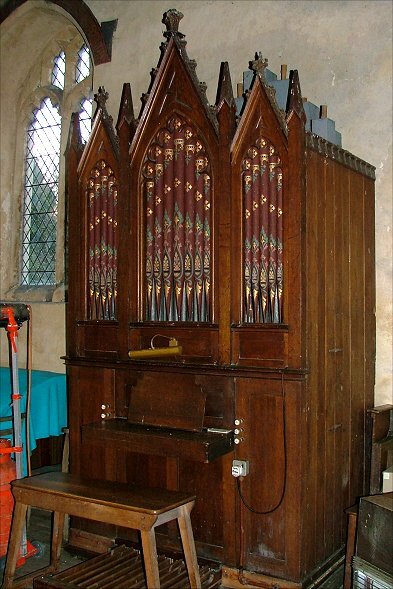 The little organ with its crockets and spires is a fine 19th century period piece. 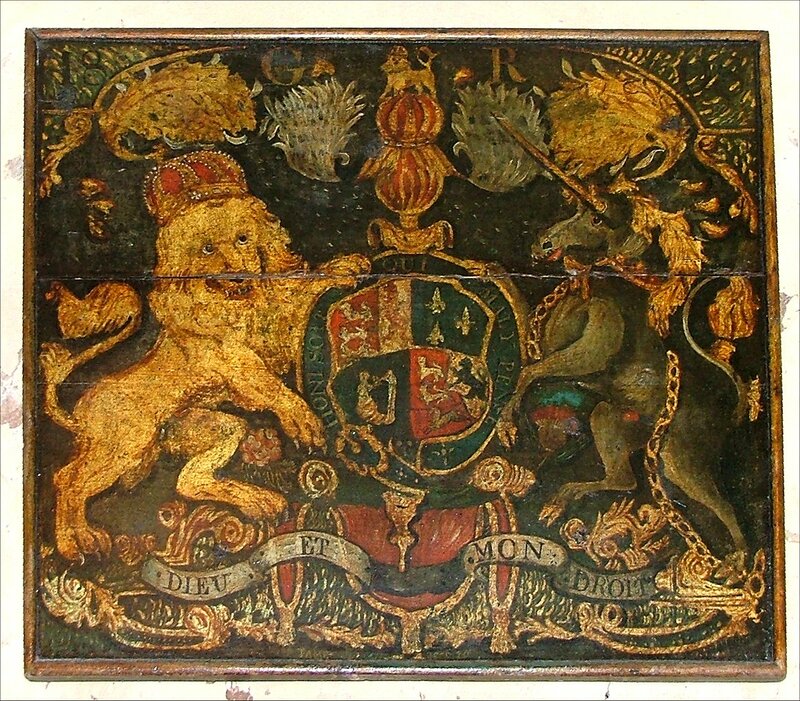 The small George II royal arms are unremarkable, but are curiously similar to the huge set at nearby Wymondham. 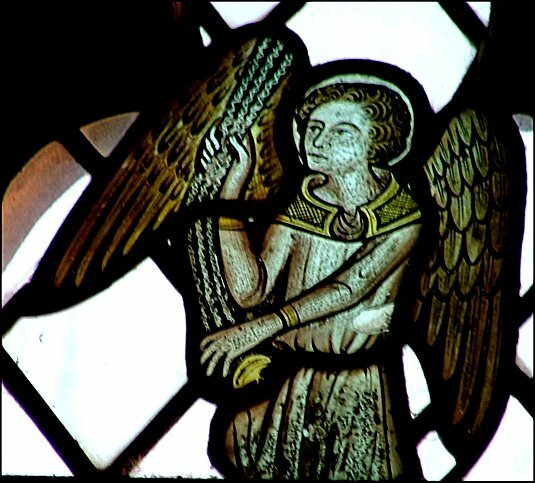 A single censing angel, reset in a north nave window and possibly upside down, bears silent medieval witness to all this, the last survivor.